3 Health and Fitness Myths : Busted! 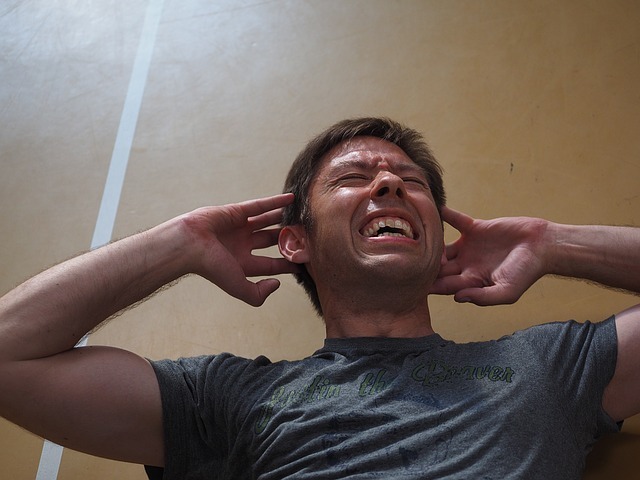 As you can see from the chap in this picture, you are more likely to strain your neck and get lock-jaw from doing loads of crunches rather than a flat stomach! These exercises, and ones similar, will strengthen your back and stomach muscles and are much more applicable to every-day activities than sit ups or crunches, and, If you have been following my blog then you will know that a flat stomach isn’t made in the gym but in the kitchen! Personally, I have been a runner for over 35 years now and, to the best of my knowledge, my knees are absolutely fine. Having said that, before we carry on I am not suggesting that you should start running now if you have an existing knee injury and, of course, there will always be situations where running has, perhaps, made a knee injury worse, but that’s different from saying that running is bad for your knees per se. Whether you are new to running or an experienced runner then you should be looking at performing strength exercises on a regular basis in order to prepare and maintain your body for running. These can range from basic exercises to more specialised running exercises such as specific running drills and plyometric work. If running is something you enjoy then “bad kness” isn’t something that should stop you doing it! 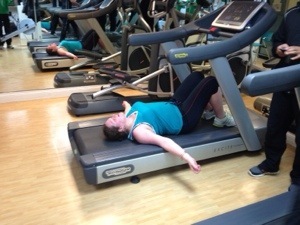 Unlike our “exhausted” client here (she is actually Hannah Norris who is client of the month for March!) you don’t have to push yourself to exhaustion and exercise for a whole hour every time you visit the gym. If you plan your gym session beforehand and focus whilst you are training then you can easily achieve a very effective workout in just 30mins. You’ve almost certainly seen these high-intensity, HIIT Dvds advertised everywhere and there are apps on your phone now for high intensity, 15 min workouts so you don’t even need to leave your house! If you do go to the gym then aim for a 40 min session maximum, where you warm up for 5 mins, do an intense 30min session and then cool down for 5 mins before heading out. So now you really know what you are doing and how to exercise properly! However, if you would like some more specific advice please do get in touch or leave your comments below.